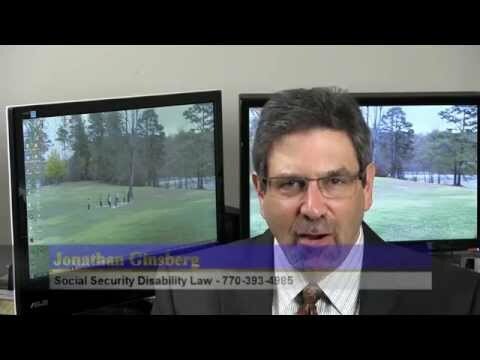 You are here: Home / Hearing process / The 15 Minute Social Security Disability Hearing: Good News or Big Problem? Recently had my hearing before the ALJ he issued a continuance in order for me to get Dr’s notes for all of my visits. How long typically will I have to wait to be rescheduled he didn’t say and is this a good thing? Thank you in advance, Cheryl. Wow, glad I saw this! I would’ve panicked if my hearing only lasted a few minutes. But it’s a relief that it’s usually a good sign to get a short hearing. How common is it for cases to go that way, to be very short because the judge doesn’t believe there’s an argument to be made against the case? hi Johnathan your videos helped me alot when it came to having some inside tips before my hearing. i was a mess but i had a good hearing (judge was nice and i answered all questions) she only asked the VE about 3 questons and my hearing went about 20 mins. her and my lawyer are waiting on a few final records from my treating physician but i have about two years of solid med records and MRIs included, the ortho just needs to send clinicals. i guess that could have more of an impact but to you does this case sound good? thanks very much. also my judge was saying how well my case was presented by my lawyer is that a really common thing? A comment like that from the judge is rare but not totally unheard of. That is good news for you – sounds like you have a good lawyer! The judge also asked my lawyer to stay for a minute or two once we were done, I waited outside. She seemed happy with how things went. I’m hoping those are all good signs? Yes, those are all good signs! I had a 15 minute hearing here in Nevada and my lawyer said it was a good and bad but she enphasized good. The Voc expert had nothing to say. Is that good. Also my lawyer asked the questions only . My lawyer also knew the judge very well. Does that mean I will get SSD and my back pay. Gosh I wished I could talk to you! Very helpful video. I handled my own hearing. I had the first hearing in January. They sent me to a nerve doctor and then rescheduled another hearing. It lasted 15 minutes. The dr that was in there only looked at my age and could not deny the the back issues . The VE listed named only one profession that I could do. The other two jobs were too strenuous for my restrictions. The judge asked the VE if I would be successful at the job he suggested and his response was no with her pain restrictions. I had no lawyer. He also asked if I could afford the medical devices prescibed. I told him not if the insurance does not cover it. Do you think this could play in my favor ? Good morning. My Husband has had his hearing 6 months ago and now the judge wants him to come back in to get some questions answered. My concern is that this time our attorney has advised us that this time there will be a medical expert there. I am concerned that it will not go well now. Before he requested us to come back in the judge told the attorney he was going to rule in his favor but had additional questions about his pain management doctor. My husband suffers from PTSD, Major Depressive Disorder and Anxiety. The first hearing he had a severe anxiety attack and I worry what will happen if he is turned down tomorrow. I’m assuming the writer was the other man sitting at the table with his computer opened. Me and the judge were the only ones that spoke during the hearing. Its pending a decision writer at this time. Went to alj hearing in Memphis on Aug 29th. Is this a good or bad thing how short it was and lawyer never spoke.? Praying I get approved oh and it went through a hearing review as well. So nervous. Only the judge asked me a few questions their was no other ppl their saying I was able to do some kind of work . I have a lawyer only lasted about 10 minutes good or bad sign? Kinda helped my anxiety a bit seeing this video. Had a hearing on the 12th of last month. More of a conversation between the judge and I more like it. Not many questions. More like he was getting to know me a little better. A few things he said made me ease up a bit. He seemed a bit irritated when he found out that my SSI checks were stopped through this whole process to where I had to rely on someone to support me that I dont get along to well with that makes my disability much worse. He did list a loooooong list of hypothetical to the VE, which the VE named off 3 jobs which kinda contradicted some of the the main things I can not do per doctors words. Then judge asked about 8 hours the VE said No. The judge asked about 5 hours the VE said No. And that was end of it. Was rather a quick session. He didnt let me know one way or another but this video kinda eased my anxiety. Thank you. Hi, I had my hearing today. The VE said I could do my last job but I would need an adjustment period and extensive training, as well as, accommodations because I cannot use my left hand. So to save myself time and stress, can I safely assume that I will be denied? I am advanced aged. I asked my attorney that was with me, his response was that it went good. The attorney was a new person that I had never met, and he never challenged the VE, that I was on pain meds. Can I safely assume that I lost my case? My hearing lasted around 20 minutes, the Judge was only on the job for two weeks and was very nice. The VE said I could no longer do my type of work ( Construction ) She said there were a couple of office jobs I could do, but when my lawyer questioned her about with them being cubicle type office jobs as one was clerical and the other a call center wold there be room for me to stretch out and prop my legs up 6 or more inches under the desk “since i’m stage 3 heart disease and blockages in my femoral aerie as well as blockage on my left heart artery and a blood clot in my heart for two and a half years”. The VE stated she did not believe that would be possible. The Judge said I wish you the best of luck when we were done. After we walk out, my layer said she thought it went very well. I guess I typed too fast, sorry for the mispelled words. I see know way to correct them. Also my Judge was not only on the Job for two weeks, he was a brand new Judge as far as SSA. I went to my hearing the judge asked for my check stubs for the past three yrs,She said my counselor had down I was a manager at my work,which is wrong I talked alot about my manager that we didnt get along to my counselor she must misunderstood me,So I assumed the judge wanted to see my check stubs to see if it said I was a manager,I guess you would call the person the VE that list if u can or can’t work,Does it mean good or bad she said the only job I can do is sort through peanuts theres no such job where I live to do that but I was told if they find you work you will be denied so does that mean that. If the VE can identify simple, entry-level jobs you could do despite your medical issues then you would not be considered “disabled” and your case will be denied. Hello, if the judge did not ask the VE a question at all, is that a good sign? Also, it has been a month and a half since my hearing and I called to check on the decision, and they told me that the decision has been made, but I was in line to have it typed up into a legal document. I am confused and just wondering if these are good signs? Usually if the judge asks no questions to the VE, it means that you have either won because the evidence was compelling, or that you have lost because the evidence was extremely weak. Hello i had a hearing on the 1-2-2019 could not make due to car trouble on way they got me back in on 1-24-2019 and the hearing lasted 20 mins judge asked very few questions of the VE and was in a good mood speaking to me (joking around) the VE did state no jobs i could do when my lawyer asked as all judge asked was work history and not if i could still do them besides having one of the top ranked lawyers in my state i watched your youtube channel so i could gain insight without bugging my lawyer keep up the good work.